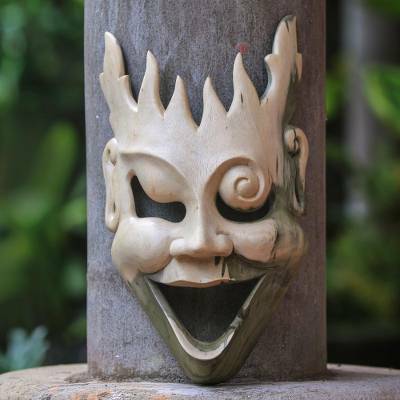 Unique Modern Wood Mask, "Man of Fire"
Flames leap from a smiling face, suggesting a man of fire. Eka presents the bold, modern mask, carved by hand from hibiscus wood. This wood varies widely in its tones and patterns, thus each mask is an absolutely unique work of art. You can find wood mask 'Man of Fire' by Eka in masks categories such as Wood Masks. Enjoy exploring these sections for other Novica treasures.